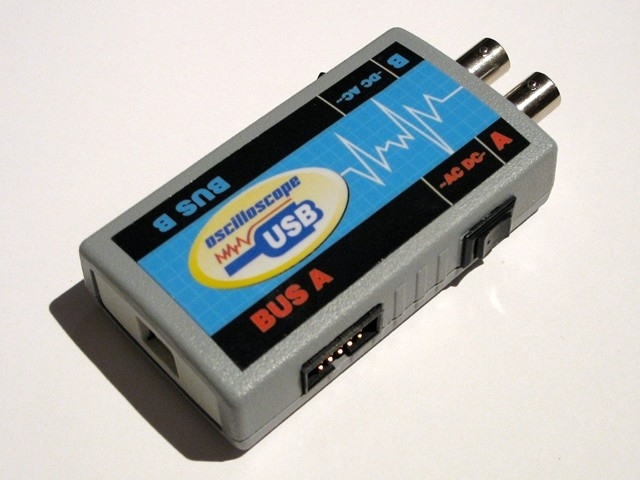 USB Oscilloscope Disco-2 is a great tool for your hobby and professional projects! In the same box you get USB Oscilloscope, USB Logic analyzer, Spectrum analyzer, Signal recorder and Logic generator - the whole laboratory for the affordable price! Simply connect the device to the computer USB port, run the Windows application and you can analyze the UART, SPI, I2C and 1-Wire interfaces besides the analog signals. 2-channel XY (or AB) Oscilloscope: marker measurements, triggering (with absolute, differential, external trigger modes) and adjustable pretrigger, signal voltage and frequency measurement, filtering, etc. 16 (8)-channel Logic Analyzer: marker measurements, triggering (edge, level, mask) and adjustable pretrigger, external clocking (triggering), preset pulse miss, preset bit sequence/edge, decoding of the interface UART, SPI, I2C, 1-Wire, etc. 8-channel Logic Generator: tabular waveform formatting or direct timing chart plotting with mouse on the screen, etc. 2-channel Spectrum Analyzer: marker measurements, klirr-factor measurement, different window functions, filtering, etc. 2-channel Signal Recorder: marker measurements, option to add 99 markers with comments, maximal, minimal and average voltage measurement for each channel, waveform record within several tens of hours, etc. - input voltage up to 17V for logic "1"
Save all measurement results as vector graphic or bitmap for subsequent import to other programs or in a text file for subsequent analysis (by Microsoft Excel for example). Copy all measurement results to the buffer. Set the events and sounds. Calculate different digital filters and perform analog filtering. Perform oscilloscope timing chart smoothing. Display statistics for all the channels of logic analyzer and generator. 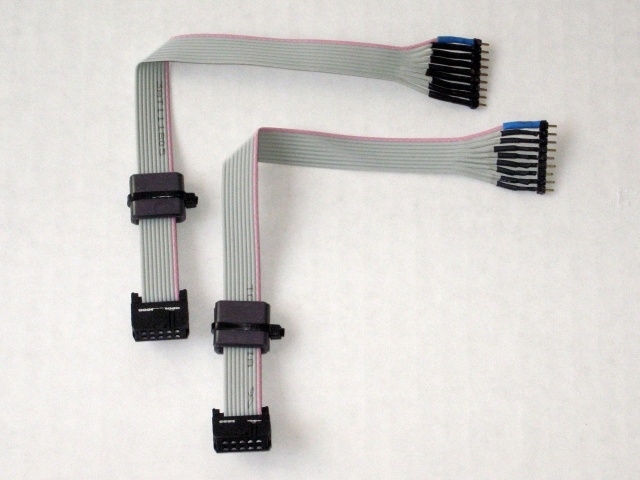 Upgrade the device firmware via USB bus allows supplementing device features with functions made to order.